Jean Kent, one of the UK’s biggest stars in the 1940s and 1950s, has died at the age of 92. The actress was injured in a fall at her home in Westhorpe, Suffolk, and died at the West Suffolk Hospital in Bury St Edmunds. Jean Kent’s death was announced by a close family friend, author and former film critic Michael Thornton. Her last public appearance was in 2011 when she was honored by the British Film Institute on her 90th birthday. Michael Thornton said: “I knew Jean for more than 50 years. She was a feisty, funny, outspoken character who never took herself too seriously. Jean Kent’s career included regular appearances in Gainsborough melodramas, which were popular with large numbers of newly-independent women following the outbreak of the Second World War. Born in Brixton, south London on 29 June, 1921, Jean Kent was the only child of variety performers Norman Field and Nina Norre. As a 13-year-old she performed at the Windmill Theatre in London’s West End. Jean Kent met her husband Josef Ramart on the set of Caravan and they married four months later in 1946, with Stuart Granger as best man. 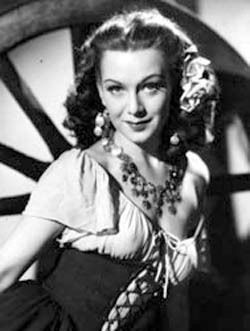 Jean Kent also had a television career, which started in the mid-1930s in a musical called The Ship In The Bay which was broadcast live.